You are here: Home / Attorneys / Val Kleyman, Esq. Val Kleyman is a divorce lawyer in NYC. He is responsible for legal strategy of every case in the firm. From inception through settlement negotiation and ultimately trial, Mr. Kleyman is involved in every aspect of each matter. Using his resolution based no nonsense approach, Val is able to deliver successful outcomes even in most difficult and contentious matters. Val Kleyman is the founding member of the Kleyman Law Firm. Mr. Kleyman assists families who are going through a divorce or family court disputes concerning child custody and spousal support. His firm serves clients throughout New York City, including Queens, the Bronx, Manhattan, Staten Island and Brooklyn, as well as those in Westchester, Nassau and Suffolk counties. Mr. Kleyman is rated as one of the top divorce lawyers and family attorneys in New York. He is the recipient of several honors and awards by independent attorney rating and ranking entities. Mr. Kleyman represented many clients in high profile and high net worth divorce disputes. His past clients range from celebrity personalities, Grammy wining artists, international DJ’s, actors, olympic athletes and the Wall street elite to every day hard working people of New York who wish to dissolve their marriages and relationships.Mr. Kleyman also handles many cases on pro bono basis and helps those who have limited financial means. 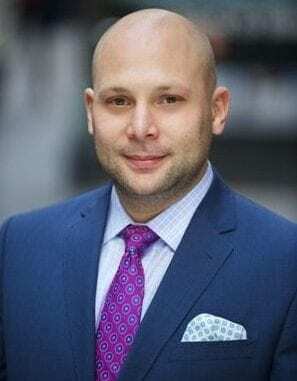 With focus on litigation and complex high net worth matrimonial cases, Mr. Kleyman quickly earned a reputation of a zealous and talented litigator among his peers became known as “The Wall Street Divorce Lawyer”. When he is not representing clients, Mr. Kleyman gives lectures on divorce and family law matters. He regularly appears appears on national television and other mass media as a commentator on divorce and family law issues. He is also on the faculty of Marino Legal Academy and teaches continued legal education classes to other attorneys. Top 40 Under 40 Family Lawyers – American Society Of Legal Advocates. Top Attorneys of North America and Top Divorce Lawyers in New York – The Who’s Who Directories. Fastest Growing Law Firm In America 2017 – The Law Firm 500.